Apple has released the second Public Beta version of OS X 10.11 El Capitan to users participating in the testing program. The version closely matches the 4th developer beta, arriving as build 15A225f, and should offer notable bug fixes along with improvements to stability and performance compared to the first public beta release of El Capitan. Mac users who are currently running OS X El Capitan Public Beta can find the updated version available now to download from the Mac App Store, accessible from the  Apple menu > App Store > Updates tab. The download is between 2GB and 3GB depending on the target Mac hardware, and requires a reboot to install. Be sure to back up the Mac before proceeding. For those who are interested, anyone can opt-in to participate in the OS X Public Beta program and send Apple feedback about OS X El Capitan, though it’s best to reserve beta system software for secondary machines, or at the very least, dual boot OS X El Capitan with a separate partition or disk to preserve your primary stable OS X experience. 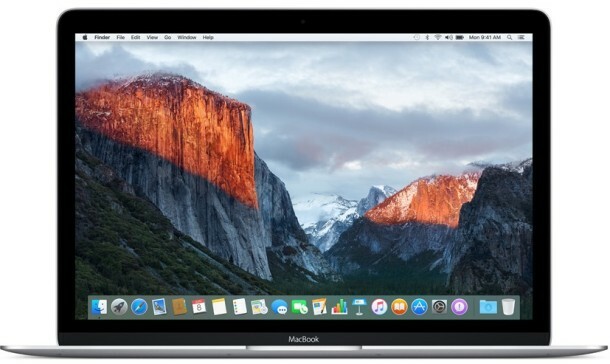 Additionally, always back up the Mac before installing any updates, and make it a regular habit if you’re using beta system software, which is notoriously buggy and not up to par compared to a stable final release of OS X.
OS X El Capitan will be available as a free update later in the year, arriving sometime in the fall for Mac users. Separately, iOS 9 Public Beta 2 is also available today for iPhone, iPad, and iPod touch users interested in running beta iOS versions. Now that we’re on the second beta I may give this a try, I always avoid the early releases since they’re so buggy. That applies to the first ‘public beta’ so called ‘final’ release too, heh. I installed the first public beta on my 15″ MacBook Pro (Early 2013) and it worked pretty well, I noticed a few minor glitches, but nothing substantial. Seemed pretty stable to me. So it’s okay for you to install the second public beta, but you would avoid the golden master? I fail to see the logic here. Well only a fool would install a beta over their current OS. Why not install it on a partition? anyone else having network issues? so far I’ve only gotten chrome to work still can’t get connectivity via safari, terminal, and other apps. No problems with any browser. I constantly have Finder hang up and am leaving the Activity Monitor up all the time, so I can force quit it. I purchased PathFinder about a year ago and it works fine. Yes. Been trying to figure out if El Capitan was to blame. I also simultaneously updated the router from my ISP, so was trying to rule that out. The internet issues are somewhat random with me, however. At least once per day, I cannot connect to the internet and only a restart seems to fix the problem. Once restarted, the problem goes away – usually until sometime during the next day. Everyday I seem to have problems with a different program. They seem to come and go. Finder problems are constant, but iTunes hung all day yesterday and works fine today. I use WeatherSnoop for my weather station and today it wants to misbehave. With all that, I like El Capitan, it is definitely faster and Spotlight is really usable. I don’t know if it was resolved, but i have no problems with automount. But I didn’t with Beta 1 either. Are you able to create mount points under /mnt/ ? pl check and confirm. i use automount for PMS. iBook store in iBook ..when loading pages,something wrong and weird.?? Trying PB1&2 on mac book aluminum late 2008 and everything goes just fine. Ok, some glitches here and there, but nothing notable as beta software. Pretty fast also, for 7 years laptop. Im missing the calculator functionality in sidebar.. now I cant use keyboard to enter numbers… dooh. I am having this same problem. Can’t use external Numpad device to input numbers? Download HANGS at 108 MB. Tried a million times … still hanging. Oh well … patience needed will try again some other time. Yeah it hangs at 108mb for me as well. I don’t know what to do about it…. Beta 5 Hangs for me too. Version ViOS Ethernet, WiFi, doesn’t matter. Been trying for 3 days now. Does anyone know if the new release resolved the issue with 802.11n? I seem to have most of my problems with Finder, Weathersnoop and Mail. All become unresponsive at various times a day. There is no consistency to timing or program mix. Waiting for next update to see if problems are abated. Finder problems have been consistent with all releases thus far.